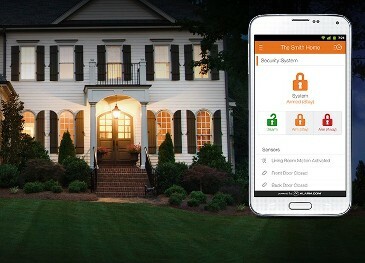 The most advanced Security and Home management solution in the industry. It features communication over GSM Cellular for fast and secure communication with the central station along with Home and Energy Management solutions. 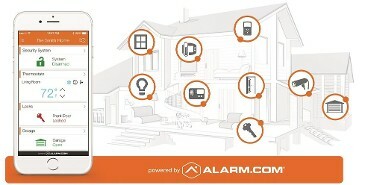 Control your thermostat, lights and Security System from your Control Panel, iPhone or PC. Get a reminder if you leave home without arming the system, receive notifications when someone else disarms the system, or have it automatically disarm when family members arrive home. Keep your home and loved ones protected with professionally monitored Smart Home Security. 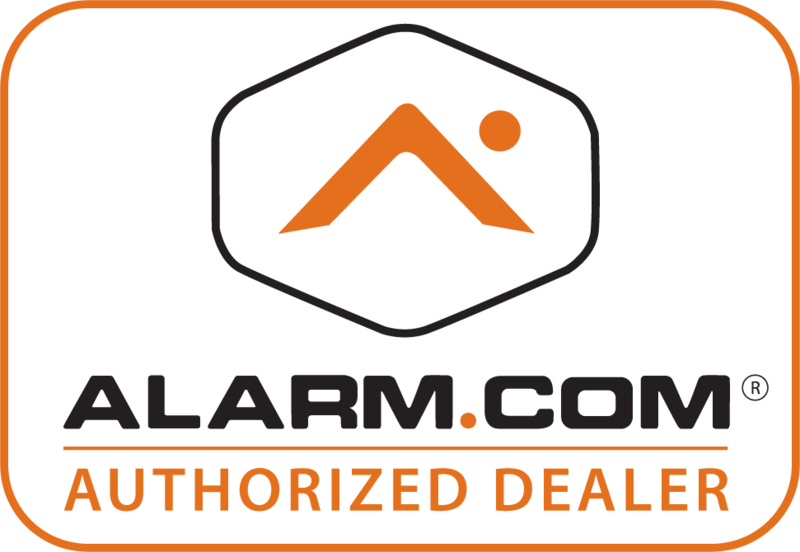 Alarm.com is engineered for reliability so your home stays protected even if the power is out, the phone lines and internet are down, or your panel is smashed. And, you’ll always be connected to what’s happening at home with real-time alerts and remote control through our mobile app. 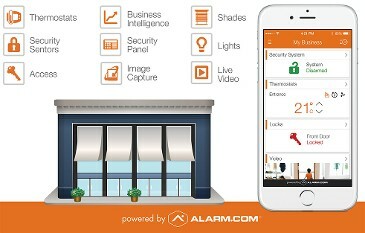 Alarm.com offers a full suite of interactive services tailored to support small and medium sized businesses, from single properties to multi-location enterprises. With professional-grade security, energy management and video monitoring solutions, you can keep your business secure, gain new awareness and instant visibility into key operational activities, and manage your energy costs. Protect your business with advanced security and professional 24/7 monitoring.